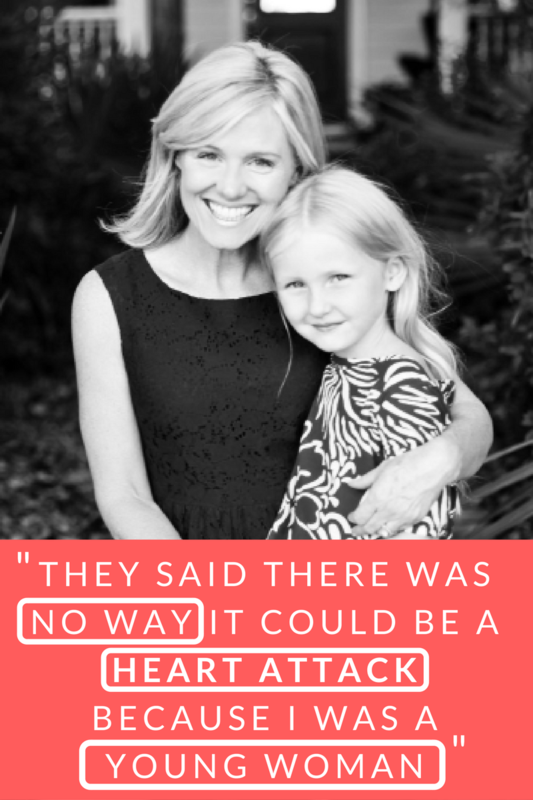 At 39, Katherine’s heart attack symptoms were ignored. Until one day, while gardening, she felt pain in her chest, radiating down her right arm. Even then — while she was having a heart attack — the paramedics told her she couldn’t be right. It’s a frequent problem facing patients, especially women. Because a patient doesn’t fit with the stereotype for their disease or chronic condition, symptoms are ignored, warning signs go unnoticed, and the patient fails to get the treatment that could save their life. In an effort to empower more women to speak up and demand the right medical care, we’re sharing Katherine’s story as part of a special feature on high cholesterol in this month’s WOMEN magazine. Here’s an excerpt of her story, featured in this month’s WOMEN magazine. “The lipidologist was the one who explained what FH was and told me I needed to have my two-year-old daughter tested because she had a 50 percent chance of inheriting the condition,” says Katherine, who founded the FH Foundation in 2011 to raise awareness, promote research, and support people with FH. Although exercise and a healthy diet can decrease LDL to target levels in many people, this is not the case for the estimated 1 million people in the United States who have FH. Most cholesterol circulating in the body is produced by the liver and used to make natural hormones, steroids, and cell membranes, but people with FH are unable to break down the natural supply of cholesterol that is not used by the body. Starting in the womb, they are exposed to high levels of LDL and are at risk of having a heart attack or stroke decades earlier than most people. 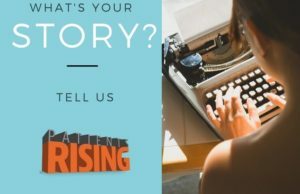 Read the entire story, authored by Heather Stringer at WOMEN magazine, Cancer Connect or Patients Rising’s website. Katherine isn’t alone. Upwards of 90 percent of patients with Familial Hypercholesterolemia are undiagnosed, according to research published in the European Heart Journal. “For individuals with FH, although diet and lifestyle are important, they are not the cause of high LDL,” notes the FH Foundation, a patient-centered nonprofit organization dedicated to education, advocacy, and research of the disease. In FH patients, genetic mutations make the liver incapable of metabolizing (or removing) excess LDL. The result is very high LDL levels which can lead to premature cardiovascular disease (CVD). For decades, the primary treatment for FH has been statins. That’s changed with the arrival of a new class of treatments, known as PCSK9 inhibitors. PCSK9 inhibitors, according to MedScape.com, lower lipid levels through monthly or bimonthly injections. For Katherine this new type of drug cut her LDL level from 170 to 60 mg/dL. Dr. Scott Wright, Professor of Medicine at the Mayo Clinic College of Medicine, says that these treatment innovations have big advantages over statins. Despite the clear value of this new treatment, many insurance companies and health care providers refuse to cover this treatment. What can patients and their families do when insurance companies deny coverage of PCSK9 inhibitors? With the help of Matthew Stryker, a pharmacist who works in the Albany Medical Center, health advocate Seth D. Ginsberg, the co-founder of CreakyJoints, has identified several ways for patients to fight back. To start, Ginsberg recommends you document everything. As a last option, Ginsberg recommends placing a call to your state insurance commissioner. Although as we noted last year, a majority of state insurance regulators are heavily influenced by insurance companies with dinners, gifts and junkets. If all else fails, contact us here at Patients Rising. Help us by liking our Facebook page, following us on Twitter or signing up for our emails. And keep checking back for fresh daily content about health care, insurance reform and patient rights.